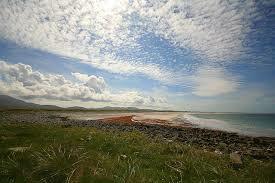 The west side of South Uist has a beach that is almost uninterrupted for its 20-mile length. Development along it is nil. Just imagine what would have happened had global warming given Mediterranean-style temperatures to these parts. However, there may, on occasions, appear to be a limited number of things to do on the island. The website featured here, claims otherwise. Visitors to the hostel should always have that great advantage over those staying in traditional accommodation – sociable company.